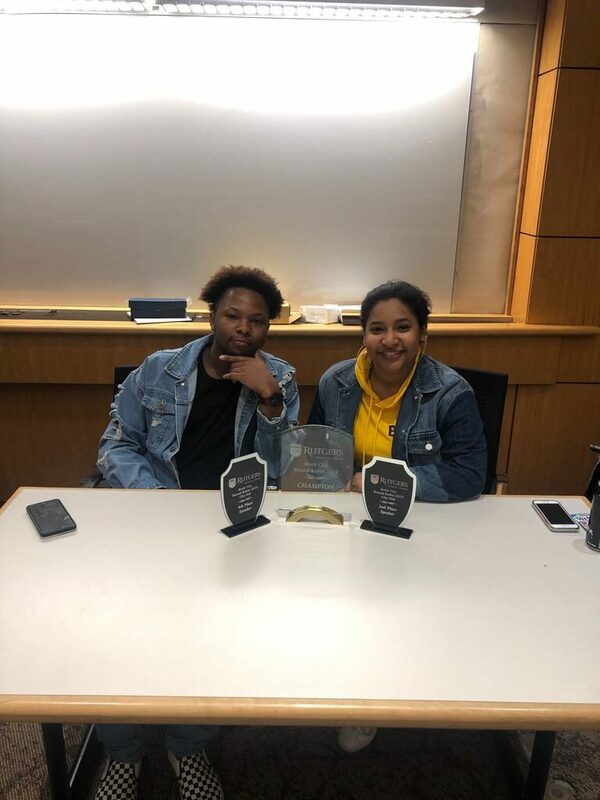 On Jan. 20, Liberty Debate teammates Michael Harrington and Briana Thomas won the Rutgers University Round Robin debate tournament, defeating teams from Baylor and UC Berkeley. Harrington had never debated before coming to Liberty. However, his lack of experience did not keep him from excelling. Now, as a senior, he is part of one of the top varsity debate teams in the nation. “I learned everything my freshman year when I came, stayed on the team throughout the years, and now I’m here,” Harrington said. This tournament was not the first major win for Liberty’s debate team. In fact, Liberty debate has a history of success in competition. Hall said Liberty’s relationship with debate dates back to the days of Jerry Falwell Sr. According to Hall, this funding, which allows for the recruitment of new members and travel for tournaments, has paid off. Over the last 20 years, Liberty’s debate team has distinguished itself in countless tournaments, competing against Ivy League schools, including Harvard, Dartmouth, Berkeley and Princeton. PHOTO PROVIDED SECURED — Michael Harrington (left) and Briana Thomas (right) secured a big win at Rutgers. “We’ve been in the community long enough now where the other coaches and judges, … they know the quality of our students … and that our students can compete at that level,” Hall said. As Hall and his team look forward to future tournaments, they hope to begin cultivating new talent for the program. Liberty’s debate program is broken down into three divisions based on experience level: novice, junior varsity and varsity. Students with no experience can start debating at the novice level and work their way up to varsity. “We have a reputation of growing and developing our own talent into top level varsity debaters,” Hall said. Harrington, a former novice himself, encourages students with passion for debate and a drive for self-betterment to consider joining the team.